"You know what happens to a family in a war." The Orchard has released a new US trailer for Colombian drug drama Birds of Passage, which premiered at the Cannes Film Festival in Directors' Fortnight. This highly acclaimed film is a crime epic spanning generations, similar to The Godfather or Scarface, focusing on two local gangs who get into the marijuana growing and export business. The two indigenous Colombia families begin a violent drug war that ends up destroying their lives and their culture. 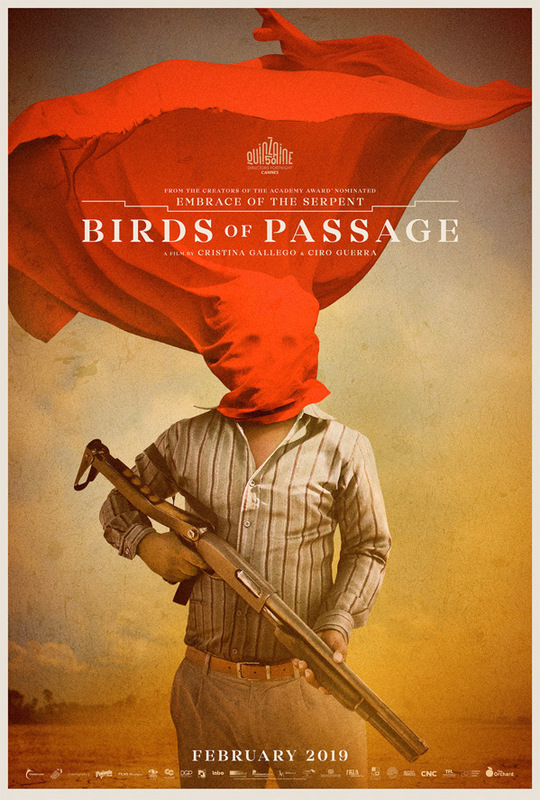 Birds of Passage stars José Acosta, Natalia Reyes, Carmiña Martínez, John Narváez, Greider Meza, Juan Bautista Martínez, Miguel Viera, and Sergio Coen. The posters for this have been stunning, a few of them can be seen below. The film is an impressive, sprawling crime saga boasting excellent performances all around. You can still watch the first international trailer for Birds of Passage here, to view the original reveal. Birds of Passage takes place in Colombia in the 1970s, when the demand for marijuana hits Colombia, quickly turning farmers into seasoned businessmen. Unfolding in the Guajira desert, the film follows an Wayuu indigenous family who takes a leading role in this new drug trade, and discovers the perks of wealth and power, but with a violent and tragic downside. 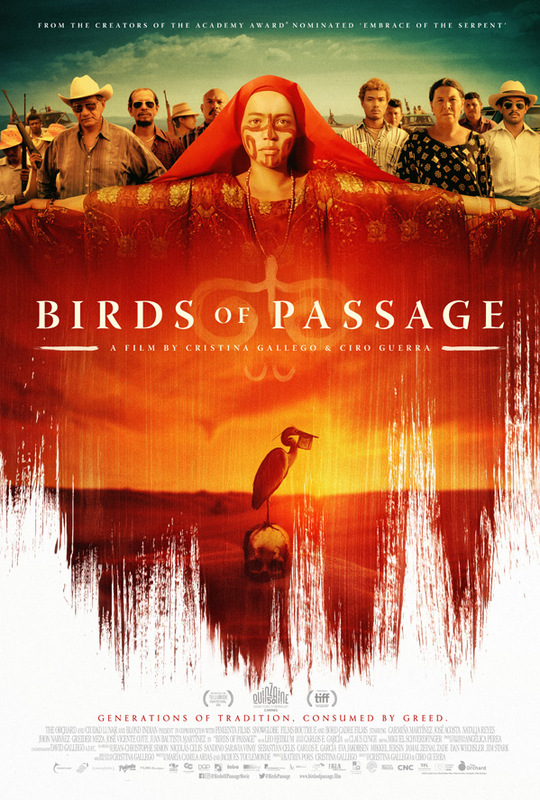 Birds of Passage is co-directed by filmmakers Cristina Gallego (a producer / editor) & Ciro Guerra (director of the films Embrace of the Serpent, The Wind Journeys, Wandering Shadows previously). The script is written by Maria Camila Arias and Jacques Toulemonde. This premiered at the Cannes Film Festival earlier this year, and it also played at numerous other fests including the Telluride, Toronto, and London Film Festivals. The Orchard will release Gallego & Guerra's Birds of Passage in select US theaters starting February 13th, 2019 coming up soon. Interested?